We are delighted to have Diarm Byrne of EquiRatings here at the Land Rover Kentucky Three-Day Event providing analysis on each day of the competition. 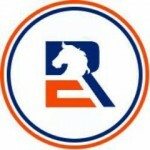 Keep checking back for exclusive statistics from EquiRatings, and be sure to follow Facebook, Twitter and Instagram. 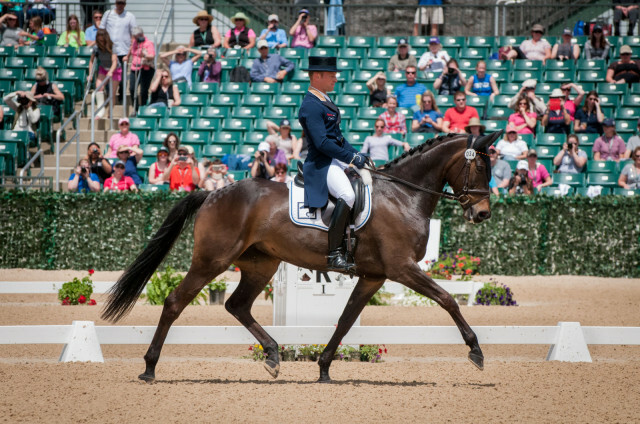 How will the removal of the dressage multiplier affect three-time Kentucky winner fischerRocana FST? Photo by Leslie Threlkeld. 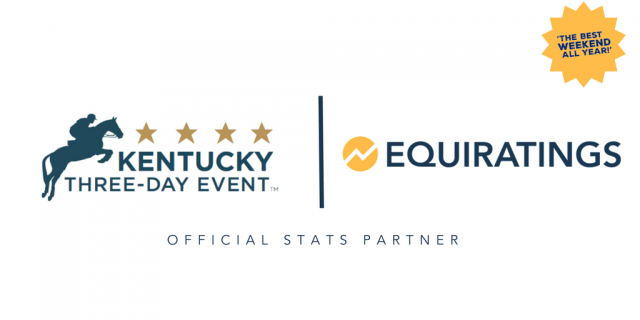 The 2018 Land Rover Kentucky Three-Day Event will be the first four-star since the removal of the dressage multiplier. 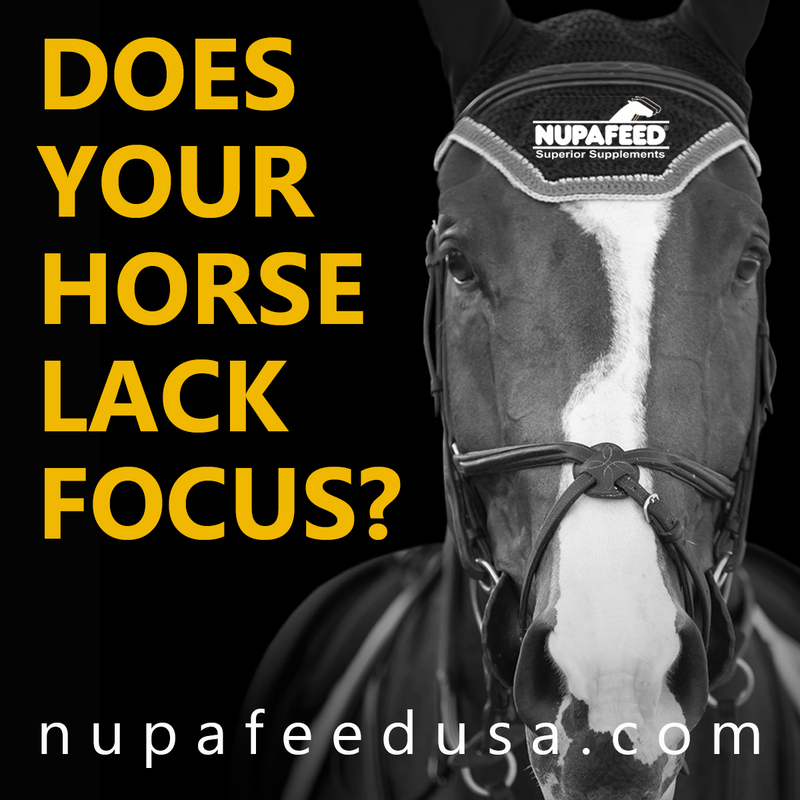 The result of the removal of the multiplier is that dressage scores will be more tightly bunched going into the jumping phases. At this level, cross country will the most influential phase — with dressage just behind and then show jumping (dressage is still the main influencer when you look at the sport across all levels). We are going to see much lower scores in the first phase; a 45 in the old system is a 30 now — so expect those top horses to be scoring in the 20s. 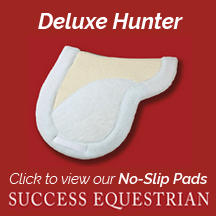 If you want to break a dressage record, you need to hit the teens in the first phase, with Bettina Hoy’s 2009 dressage score on Ringwood Cockatoo being translated to a 19.2 dressage score in the new system. 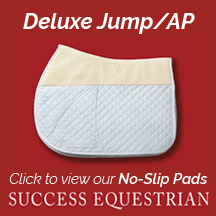 But jaw-dropping dressage scores won’t be enough at this venue — it will be about finishing on that score. 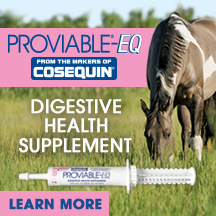 Make no mistake: This will be a test of who can add the least to their dressage score. Every second lost on the cross country course and every pole down in the show jumping is likely to see snakes and ladders on the leaderboard that we are not used to. Even the day before it begins, the data is suggesting this promises to be one of the most dramatic Kentuckys in recent years. The last time someone came from outside the top five after dressage to win at Kentucky was 2006 when Andrew Hoy and Master Monarch scored a 53.1 dressage and won. He was the only horse to finish on his dressage score (FOD) that year. However, the removal of the multiplier means things will be tighter going into Saturday morning, and there are many opportunities to add to that dressage score. Over the last three seasons, the average jumping clear rate in the cross country here is just 51% — and when you look over 10 seasons, it sits at 53% to make it the toughest of the four-star venues. This is suggesting we are likely to see about 1 in every 2 get home without jumping penalties on cross country. The other 50% tends to split reasonably down the middle, with 25% being eliminated or retiring and 25% completing with jumping faults. 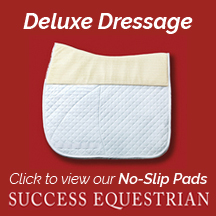 Sunday will bring lots more people adding to their dressage score. 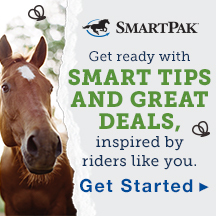 In the last two years, a total of eight combinations have not added any show jumping faults! Eight! from 93 combinations! More on that in your Sunday update. News that Sir Roger Bannister, the first person to run a mile in under four minutes, had passed away began to circulate yesterday. His achievement of breaking the 4-minute mile is one which has inspired many generations of athletes across all disciplines. Experts said for years that the human body was simply not capable of a 4-minute mile. It wasn’t just dangerous; it was impossible. A medical student at Oxford who ran in his spare time, he used his medical knowledge to devise his own training regime and investigate the mechanical aspects of running, turned his sights on becoming the first person to run inside four minutes for the mile, twice coming close in 1953, and finally, in 1954 in Oxford, achieving the “impossible” — running a mile in three minutes 59.4 seconds. Forty-six days later, someone else ran a mile in under 4 minutes. Then some more runners did. Now, it’s almost routine; even strong high-schoolers today run 4-minute miles. We are now down to 3:43.13 — set by Morocco’s Hicham El Guerrouj in 1999. So, what can we learn from it? It’s a truth universally acknowledged across the sporting world that the toughest obstacles to surmount are those we erect in our own minds. It took a sense of extreme certainty for Roger Bannister to do what was considered un-doable. He alone was able to create that certainty in himself without seeing any proof that it could be done. But once he crashed through that barrier, the rest of the world saw that it was possible, and the previous record that had stood for nine years was broken routinely. 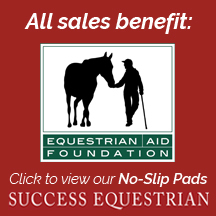 What obstacles have we put up in the equestrian world? 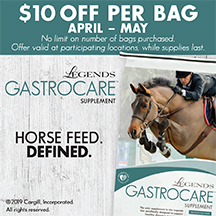 Sure, we have to think differently — we are managing not just our own mental and physical limits but also those of our horse. But are we a world guilty of doing things the way things have always been done? Secretariat holds the record for the fastest Kentucky Derby — that was achieved in 1973, 45 years ago. It doesn’t matter whether you look at the 100m or the mile, humans don’t run the same speed today as they did in 1973. It is often said that while footballers, tennis players and golfers of generations gone by may possess all the natural talent of today’s athletes, they simply wouldn’t survive in the modern game because training has progressed so much. What time would Sir Roger run the mile in today had be been born 60 years later? Hypothetical of course, but this man was a game-changer. Michael Jung and La Biosthetique Sam at the 2016 Rio Olympics. Photo by Shannon Brinkman. In eventing, we are witnessing our version of Bannister at work. Michael Jung’s 75 consecutive clear cross rounds at international three star level defies the odds, and defies what should have been possible. 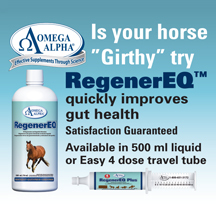 His top horse, La Biosthetique Sam, has an average finishing score at three and four star level of 38.8 penalties. 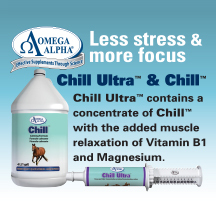 No other horse at that level averages below 42.5. A game-changer. At the top end of the sport, the next Olympics in Tokyo will have no discard score, which means the margin for error has gone. The last two major championships (2014 and 2016) have both produced clear cross country jumping rates of 42%, which would make the odds of producing three clears from three athletes just 7.4%. While some teams will perform well above average, other will perform well below it. 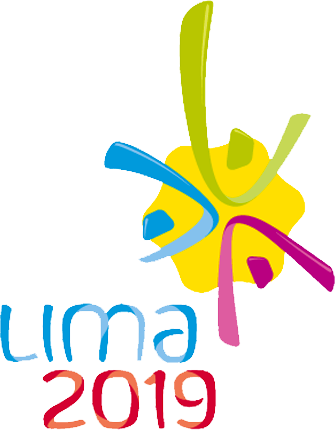 Team medals in 2020 will require one of two things: either chance or change. But the Bannister effect applies to everyone. While Mr Jung quietly continues to push the boundaries of what is possible, we must all challenge ourselves. Analyze past performance. Draw an honest line of expected performance and the likelihood of producing that performance. It doesn’t matter which country you are in or what level you compete at; the reality is that, if you haven’t seen it yourself, you’re vulnerable. Bannister was a game-changer. He broke the barrier which broke the mental barrier for those that followed. The impossible becomes possible when you believe that it can be achieved. 75 consecutive clear rounds. Now you’ve seen it. Do you still think it’s impossible? EN is delighted to provide a full analysis written by EquiRatings with credit to Event Rider Masters on the horses and riders competing in the first leg of the exciting new series this weekend at the Dodson & Horrell Chatsworth International Horse Trials. Remember you can watch the competition live for free on Saturday and Sunday at www.eventridermasters.tv. 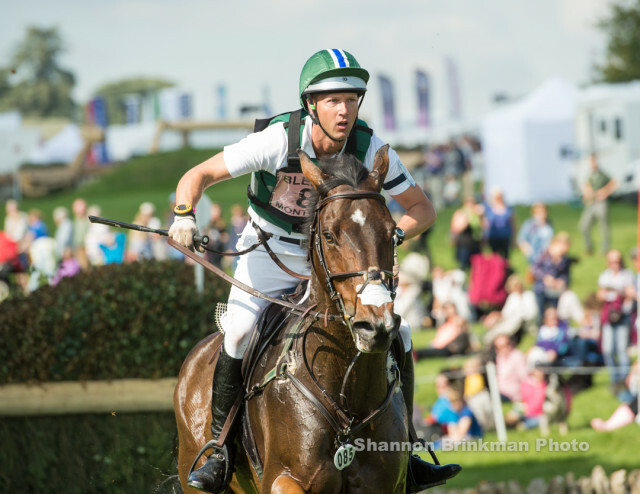 Clark Montgomery and Loughan Glen at Blenheim 2015. Photo by Shannon Brinkman. The Event Rider Masters series will kick-off at one of the most challenging short-format venues that the sport has to offer. Chatsworth House, like so many British events, is set on an idyllic estate and this year, forty of the highest ranked riders in the world will make their way to the heart of Derbyshire. Despite the beautiful setting, the venue poses a chilling challenge to competitors. Of the thirteen CIC3 star venues in the UK, Chatsworth produces the highest averaging finishing score of 86.6 penalties. On any normal day, the quality of competitor lining up for the first leg of the ERM series would be setting their sights no higher than a finishing score of 45 — but only one person has ever managed to produce that level of performance at Chatsworth. That was no ordinary person either, it was Andrew Nicholson (NZL) on Viscount George, and he posted that score during his most successful season ever — 2013. Andrew lines up this year with Perfect Stranger, a horse yet to secure a top five finish at international level, but write this man off at your peril. 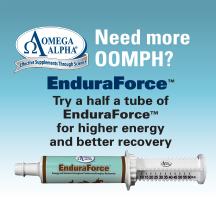 It will take something very special to become the first ERM winner. 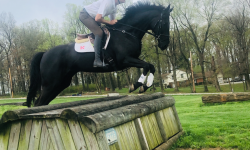 Throughout the series, every aspect of the talented and versatile event horse will be challenged to various extremes, and the first leg is focused very much on the speed and stamina of the cross country phase. ERM runs in the exciting format of dressage, then show jumping, and finally cross country in reverse order of merit. The signature phase at Chatsworth will be the decider, and with the most valuable three star prize on British soil up for grabs it will certainly produce sporting drama. In fact, if one of these elite riders can complete the cross country course without time penalties, they will become only the 2nd person to do so in over 1,000 attempts. Frenchman Astier Nicholas (Quickly Du Buguet – 2013) is the record holder on this occasion and he comes here with Piaf De B’Neville who had a phenomenal 2015 season which culminated in him winning the CCI4 star on home soil at Pau with a score of 38.5. The horse’s last four internationals have produced an average finishing score of 44.7 and, with Astier’s course form, this combination are among the leading contenders for leg one of the ERM series. 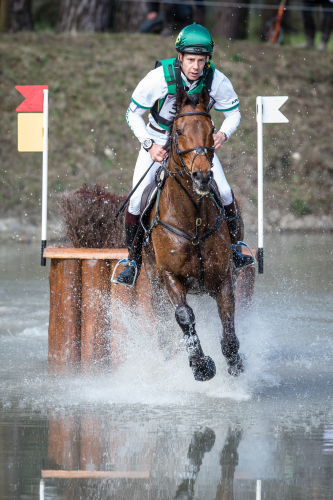 William Fox-Pitt and Cool Mountain at Pau 2013. Photo by Jenni Autry. 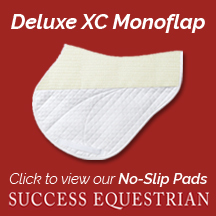 Just 2% of competitors perform sub 40 dressage tests based on normal Chatsworth trends. However, there is nothing normal about this year’s ERM field and we could potentially see that figure jump to as high as 20%. The best dressage score at this venue in the ER database (since 2010) was recorded by William Fox-Pitt on Chilli Morning in 2014. The 2015 Badminton winner led the CIC3 star on an impressive 31.7. William will be contesting the ERM class with his old faithful, Cool Mountain, a horse who has finished 1st, 2nd & 3rd at various four stars (including WEG 2010). The pair also have Chatsworth form with two appearances (2013 & 2014), averaging 41.8 in the dressage and jumping clear in both the show jumping and cross country on both occasions, so we expect this combination to feature high up the final leaderboard. All eyes are likely to be on Bettina Hoy (GER) and Seigneur Medicott on the opening day. 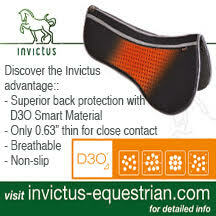 From two starts at CIC3 star level they have an astonishing dressage average of 32.6. 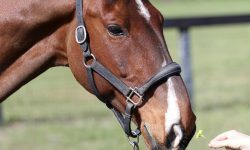 Horse inexperience may hold this combination back in the jumping phases but they are on a definite upward curve and will feature at the business end from the off. Others likely to start strongly are Clark Montgomery (USA) and Loughan Glen who recorded a season average finishing score of 37.2 in 2015 which included three international wins from four appearances. Their past contains chinks of inconsistency but if they bring their A-game then they have the ingredients to take the title. Fernhill Adventure and Aoife Clark (IRL) are another pair on a steep upward curve that is governed largely by a very strong first phase. They come here off the back of a career best dressage score of 36.2 at Belton earlier this season. This combination posted a finishing score of 44.1 in the CIC1 star at Chatsworth in 2013 which shows a liking for the venue, and Aoife’s 100% clear cross country record over the past 12 months will stand them in good stead to remain at the top end of affairs. Chris Burton and TS Jamaimo at Fontainebleau 2015. Photo via FEI/Eric Knoll. Tom McEwen (GBR) and Toledo De Kerser have never incurred a show jumping fault in 9 international appearances, making them the only combination to line up with a 100% career show jumping clear round percentage. Key combinations hot on their heels in terms of proficiency are Crocket 30 and Nicholas Touzaint (FRA) who are 11 from 14 (78.6%), and Kitty King’s (GBR) Ceylor LAN who averages a career strike rate 77.8% of clear rounds in the second phase, but is the only horse in the field to string five consecutive clear rounds together in the last 12 months. Kitty has the most impressive show jumping figures at this level, producing 22 clears from 25 attempts (88%) over the past six years. 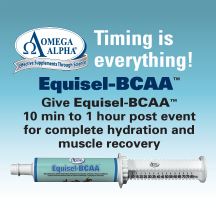 All three of the above combinations, whilst being strong in phase two, have been trending in the mid 40s in the dressage, and haven’t yet produced evidence that a difficult optimum time will help their case. One combination who do have podium potential and have produced 4 clears from their 5 show jumping rounds together at CIC3 star competitions, is Christopher Burton (AUS) and TS Jamaimo. They have two major wins under their belts. The first was in fairly extraordinary circumstances when Chris was given TS Jamaimo as a catch ride for the Adelaide four star back in 2013. They were the only combination to finish on their dressage score on that occasion and kicked off their partnership with an incredible win. Their second win together came at the Gatcombe British Open last season where they finished 4.5 penalties clear of a high-class field. 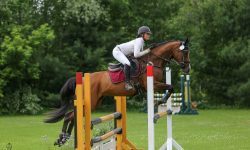 They produced the horse’s career best score of 36.9 in the first phase, had one fence down in the show jumping and went to record the second fastest time of the day to win comfortably. The overall profile of this combination looks ideal for leg one of the Event Rider Masters. Izzy Taylor and KBIS Briarlands Matilda at Badminton 2014. Photo by Jenni Autry. Tim Price (NZL) and Xavier Faer have made the time on all three of their most recent international starts, including at Boekelo where they did so despite 20 jumping penalties on the cross country. Cathal Daniels (IRL) and Rioghan Rua are the only combination who have beaten the clock at 4 internationals in the last 12 months, but both of these may find themselves with too much ground to make up after phase one with both averaging in the 50s. 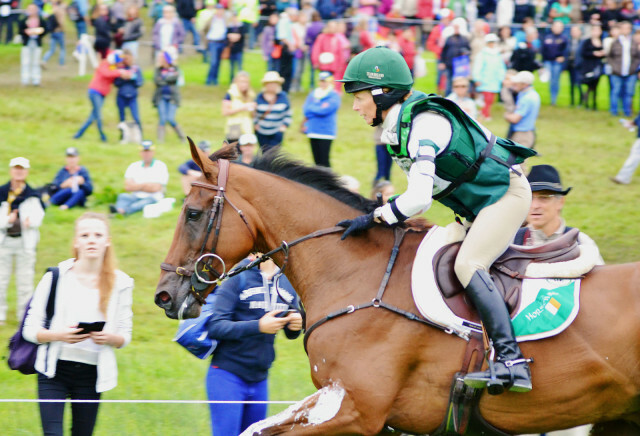 Izzy Taylor (GBR) and KBIS Briarlands Matilda are further added to their speedy reputation their impeccable cross country round in tough conditions at the Blair Castle European championships in 2015. Reliability for a clear jumping round may be an underlying concern, but they are very likely to feature prominently at the conclusion of the event if all goes to plan. Probably the fastest man in the sport on current form is Oliver Townend (GBR). Between the national and international three star classes at Belton earlier this year, there were 5 clears within the time – 4 of those were recorded by Oliver. At Burnham Market, he became the first person to finish on their dressage score in over 6 years, and that was with his ERM entry Noteworthy. That performance is enough to put this duo right up there amongst the favourites to take this first title. Like many of these speed horses, their dressage phase will leave them with a bit of work to do, but Chatsworth is absolutely the venue to produce leaderboard climbers. 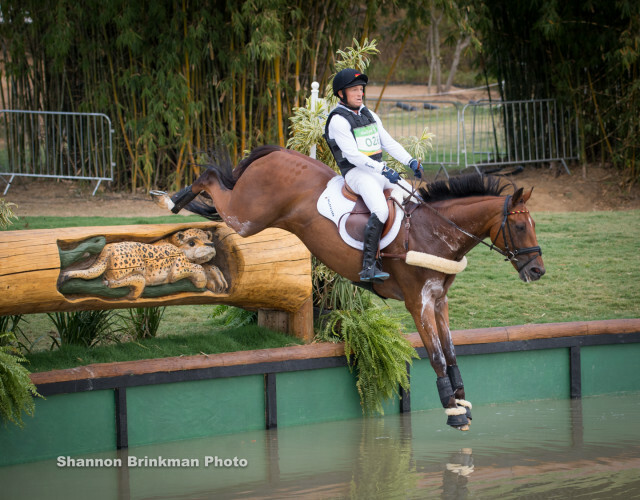 Sarah Ennis and Horseware Stellor Rebound at the 2014 World Equestrian Games. Photo by Jenni Autry. Speaking of climbers, in 2014 Paul Tapner (AUS) and Yogi Bear VIII soared from 20th place after dressage to a final 4th place over the Dodson & Horrell Chatsworth CIC3 star track. 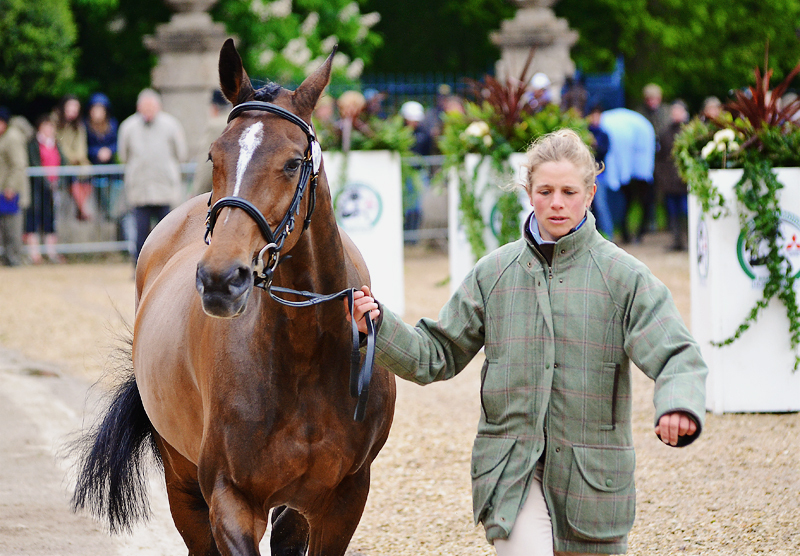 They return for this year’s feature class, as does the only horse in the field to have previously won over this course which is Horseware Stellor Rebound and Ireland’s Sarah Ennis. Not only have this combination won here (2014), but they also finished 2nd in 2015, giving them the best course form in the field by a long way. 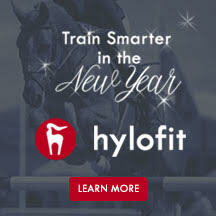 They are one of 3 combinations entered to have 4 top five finishes at CIC3 star level (along with Yogi Bear VIII and Loughan Glen) and their stats in each phase make them genuine contenders to extend their successful run at this venue. There is a strong French contingent fighting for this illustrious title, and amongst them are the pair that finished 2nd to Ennis back in 2014, Cedric Lyard and Cadeau Du Roi. They had a sub 50 finishing score on that occasion which is difficult to achieve at Chatsworth. They also warmed-up for this class with a win at Fontainebleau CIC2 star on a final score of 35, so their bid is a genuine one. 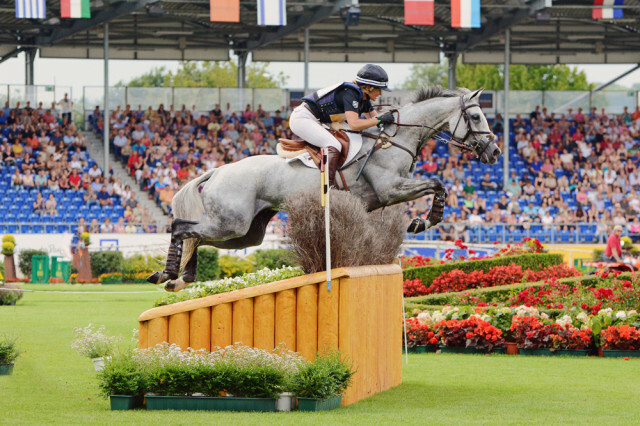 Jonelle Price and Faerie Dianimo at Aachen 2015. Photo by Jenni Autry. 2015 Saumur champions Matthieu Lemoine (FRA) and Bart L will undoubtedly be in the mix having demonstrated finishing scores in the very low 40s at international three star competitions. Compatriot Thibaut Vallett and Qing Du Briot Ene Hn were the individual bronze medallists at the European championships last year and they have 3 finishing scores in the 40s at three star level already under their belts. The cross country jumping record has the odd glitch in the past for this combination, and time penalties have also been a factor, but if they improve on their Blair performance then their late addition to the field could prove very fruitful indeed. The final mention goes to a woman who has four career wins at international competitions, two of which include the last two consecutive runnings of the Blenheim 8&9 year old CIC3 star. The horse that gave Jonelle Price (NZL) the first of those two victories is Faerie Dianimo and they line up with a serious chance here. 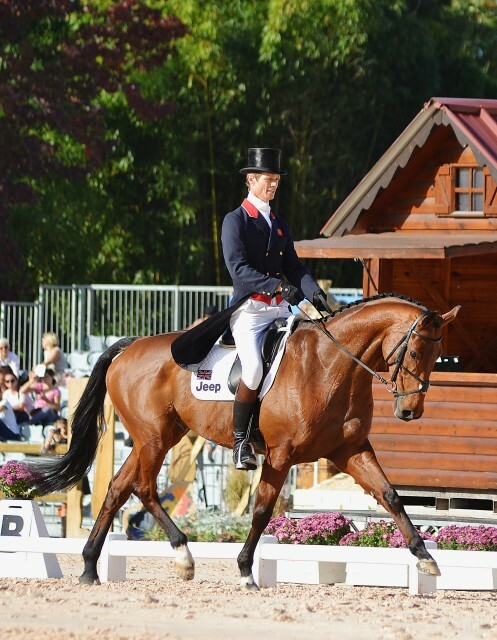 Their most notable result has to be their 2nd place at the Luhmuhlen four star last year on a score of 32.8. The pair average just 1.2 time penalties from their last three runs, had an average dressage score of 40.9 in 2015, and haven’t knocked a show jump or incurred a cross country jumping penalty in their last 6 international runs. Picking a favourite for this title is almost impossible given the strength and depth of the field and one thing is certain – earning the title as the first ERM champion is not going to prove easy for anyone!